Chaste tree berry is large shrub with beautiful blue–violet flowers that bloom during the summer months can grow up to twenty-two feet in height, and is considered to be native to the Southern Europe and to the Mediterranean. This tree grows mostly on riverbanks, although today it can be grown in a simple garden, which is what most Americans do. Chasteberry is a small brown berry fruit of the chaste tree which is about the size of peppercorns and smells like peppermint. Chasteberry has been used for medicinal purposes for centuries for its health benefits. In its ripe form, the fruit is used in the preparation of herbal liquids and powdered extracts. The fruit is also known as vitex, monk's pepper, or monk's berry as it was used by ancient Romans to curb the sexual urges in monks. Chasteberry has been used for thousands of years, mostly by women to ease menstrual problems and to stimulate the production of breast milk. Currently, chasteberry is still used as a folk or traditional remedy for menstrual problems, such as premenstrual syndrome, as well as for symptoms of menopause, some types of infertility, and acne. 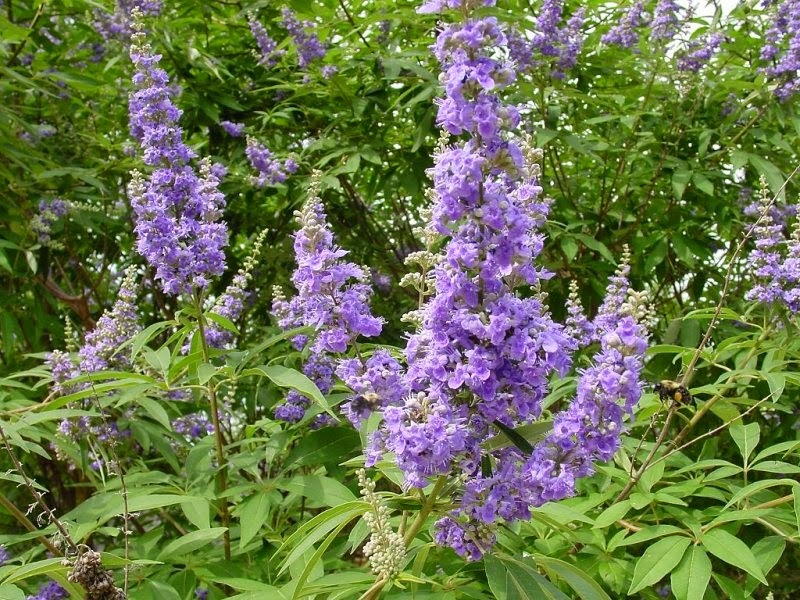 For over 2500 years chaste tree (Vitex agnus-castus) has been used for gynecological conditions since the days of Hippocrates. With a rich traditional of use, modern research supports historical wisdom, and has made chaste tree fruit preparations a phytomedicine of choice by European gynecologists for treatment of various menstrual disorders, PMS, and other conditions. It is believed that chasteberry extract may help stop the release of a hormone prolactin from the pituitary gland. High levels of Prolactin hormone may stimulate milk production in pregnant and lactating women causing breast tenderness and may also cause irregular menstrual cycles and missed periods. Therefore, taking chasteberry extract capsule daily can be beneficial to reduce breast tenderness. Chasteberry may be a little strange to know that although the chaste tree is generally used for treating disorders and conditions of the female reproductive system, like for pre-menstrual syndrome or PMS and for peri - or postmenopausal symptoms such as hot flashes, they are associated with completely different hormonal imbalances. In fact, the results of a survey by medical herbalists concluded that the chaste tree may be considered an ‘adaptogen' which affects the pituitary gland in a human being. The parts of the chaste tree most often used in medical treatments are the dried berries, although in some Mediterranean countries, leaves of flowering chaste tree tops are also harvested and dried for medicinal use. Chasteberry can help bring relief from fevers and headaches if it is taken in the form of a drink made from the seeds of vitex, and it can also help stimulate perspiration, promote menstruation, and prove effective in "purging the uterus.” Vitex is also known to promote the flow of breast milk in new mothers. Vitex seeds can also be taken to dispel "wind" or flatulence from the bowels, perhaps because of their hot nature, and this would be useful in promoting urination, checking and arresting diarrhea, and improving dropsy and spleen diseases. However, there are conflicting opinions about the use of Chasteberry during pregnancy, therefore, during pregnancy the consumption of Chasteberry in any form should be avoided unless advised by your health care provider otherwise. Both the chasteberry seeds and the leaves were also considered effective against the bites of snakes and spiders. In case of snake bites, vitex can be taken in the form of two tender leaves of vitex mixed in wine or in a mixture of water and vinegar. Very often, the chasteberry is used to treat acne in both men and women, and it is believed that it is the antiandrogenic effect of the herb, although there is a lack of research on the subject, that is responsible for the fact. Chasteberry is also recommended to decrease an unusually active libido. Pregnancy and breast-feeding: Using chasteberry during pregnancy or breast-feeding is POSSIBLY UNSAFE. 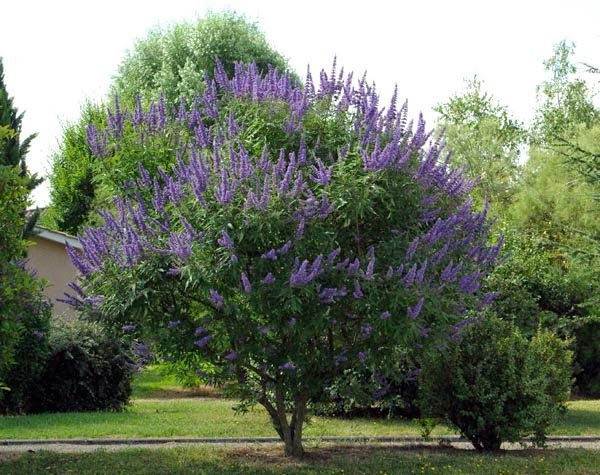 The concern is that vitex agnus-castus can interfere with hormones. Don’t use chasteberry if you are pregnant or breast-feeding. Schizophrenia or other psychotic disorders. Chasteberry seems to affect a chemical in the brain called dopamine. Some medications for mental disorders help to decrease dopamine. Therefore, taking chasteberry might affect therapy for certain mental disorders.